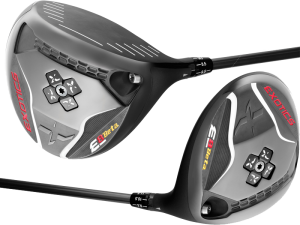 Tour Edge Golf has had a very successful run with their Exotics line of the “E” franchise, and for 2015 the latest is the E8 series. Though the line extends to cover fairways, hybrids and irons our attention was drawn to the E8 drivers. There are two, the E8 and the E8 Beta, which was the model I used for ten rounds, a long enough trial to give it a thorough testing, rather than as some “raters” do, forming an opinion after giving it a few swings on the range. Obviously that only tells a partial story of a club’s capabilities, strengths…and weaknesses…and no idea at all of its playing characteristics. As it worked out, the E8 Beta we tested covered a lot of the country with four rounds in Florida, five in Nevada and four in California’s Coachella Valley. (I know that doesn’t add up to ten but then arithmetic has never been one of my strengths). I liked this driver from the first because the Beta model has smaller more compact clubhead (440cc versus 460cc, the size of the regular E8) and along with the non-glare black finish made a package that fit my eye at address. Aldila Rogue Silver or Black are the stock shaft choices with the test club having a Silver. Obviously the bottom line with any driver is length. Does it hit it long and straight? The E8 Beta passes this test with flying colors. It is as long as any of the one-woods tested recently and certainly longer than most. This opinion is objective to the extent of comparing drives on my home course…where the ball finished with the E8 versus where it ends up with other drivers. Non-scientific to be sure but it does average out turf conditions, wind, temperature and other factors not often part of an evaluation. Also worth noting, the E8 Beta has a 45 inch shaft compared with the 45.5 inch shaft of the driver I was using from another major manufacturer. In the search for distance longer may be better but if accuracy is important even a small difference in shaft length can be significant. The E8 Beta hits it low with a flat trajectory causing me to adjust the loft sleeve from 9 degrees to 10.5 degrees for more carry distance and still have reasonable run out. The flat trajectory characteristic of the Beta, according to what Tour Edge says, aside from the clubhead size is the primary difference between the regular and Beta models. The Beta center of gravity is comparatively higher and closer to the clubface promoting the lower ball spin higher swing speed players desire. Both models have an interchangeable 7-gram sole weight (additional weights optional) and make use of Tour Edge’s Power Grid design in the sole channel. The Beta hits it straight with a relatively minimum distance loss when one of those rare off center impacts happens (yeah, right) thought the increased size of the regular model would surely have more forgiveness if that should be your primary consideration. Negatives. Not many with the most significant having to get used to the impact sound. Everyone who tried it and even playing companions who didn’t, remarked on it. Not that the sound was bad just that it’s different and could take getting used to. Recommendation. 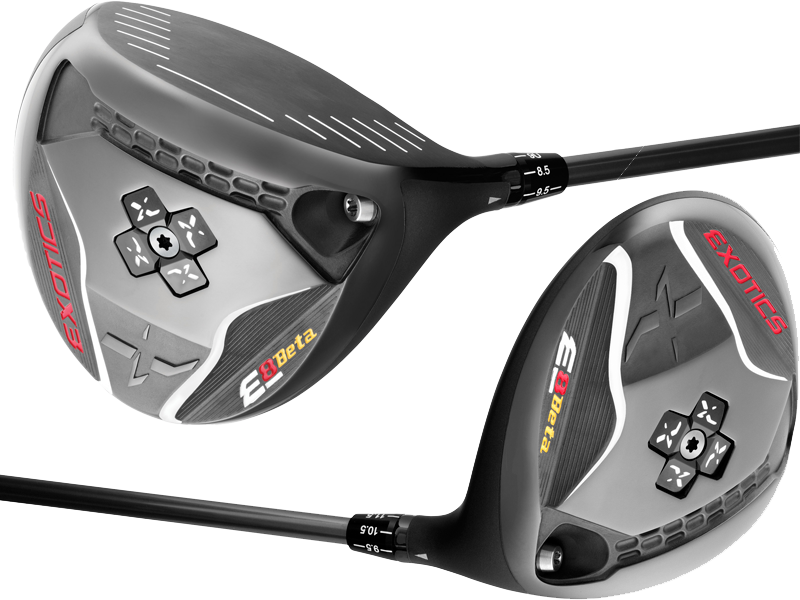 Should the new season be calling for a new driver the Tour Edge E8 Beta ($400) and the regular E8 ($300) should be on your short list to evaluate.